Sorry to rain on your bridal parade but let’s talk about the Budget. That dreaded “B” word that we have to address, preferably sooner rather than later. So before Pinterest has sold you a bouquet that is not in your wedding flower budget, let’s break this down bloom by bloom. Gertrude Stein was wrong, a rose is not a rose is not a rose. There is the Garden Rose. This leading lady has that soft, romantic look that is very popular. However, this rose is on the expensive side of the price range. She is a beauty but if she’s a “must have”, be flexible. Perhaps, just have them in the Bride’s bouquet, or if need be, cut corners in other aspects of your wedding budget. Then we have your standard “rose”. 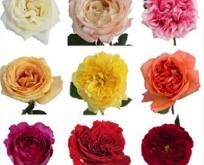 This rose comes in countless colors and sizes and she plays well with others. Another “leading lady” in the wedding bouquet world that is very trendy on Pinterest, and on the more expensive side is the Peony. 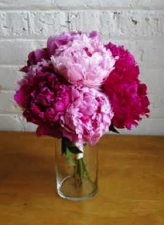 Love, love, love peonies, however, she is on the more expensive side. 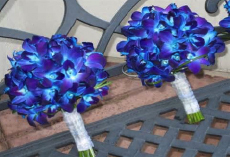 Orchids are also very popular for wedding bouquets. This beauty is a Phalenopsis. 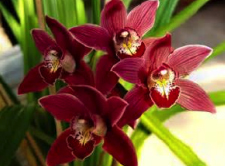 This variety is a cymbidium orchid and they come in many colors – white, green, yellow, mauve and a yummy chocolate that is stunning in any fall wedding bouquet. 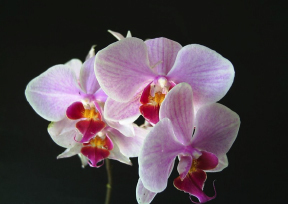 The third variety of orchids used in many wedding bouquets are dendrobiums. Once again, they come in many colors. This particular dendrobium is purple and when they are harvested on the farms they are placed in an indigo dye that soaks up the stem, and that gives this orchid a powerful pop of blue, and I mean BLUE! They also come in white, purple and pink. These orchids also make great boutonnieres and corsages. When considering using orchids in your wedding bouquet, keep a few things in mind. 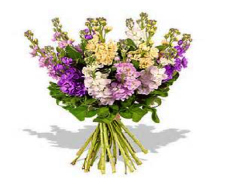 There are 8 – 10 blooms on a stem, so when designing your bouquet, our designers need to wire each bloom individually and insert them into your bouquet, therefore, the labor time and cost are higher, and orchids are an expensive flower. 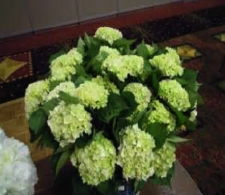 Blooms for a bride on a smaller budget should consider Hydrangea. She’s the “big bang for your buck” wedding flower. The hydrangeas from Holland can be a bit more expense than the South American flower but the bloom is so large that she’s worth it. Often when designing with hydrangea, we weave other flower product in the middle of the hydrangea and it creates a beautiful bridal bouquet. 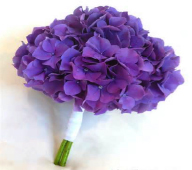 The flower comes in a variety of greens, blues, white, pink and purple. They are available year round and will never disappoint! 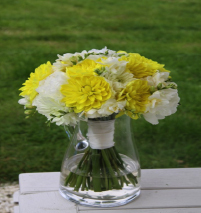 Chrysanthemums come from a HUGE flower family and can be used all year round and come in a beautiful bronze, an excellent choice for fall wedding bouquets. White football mums are a great option for your winter wonderland wedding. 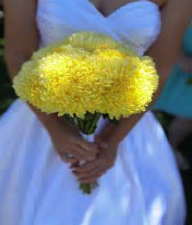 Yellow and lavender football mums are superb for the spring and summer wedding bouquets. This bloom, once again, give your bridal budget a big boost. 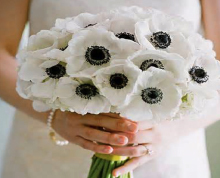 The Anemone is a flower with a very striking black center. She has a smaller size head but looks great by herself or in combination with other blooms. If you bridal color palette is black and white, you couldn’t ask for a more perfect match. 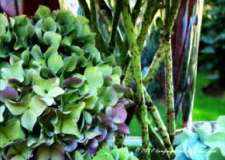 This bloom is available November to May and is moderately priced. 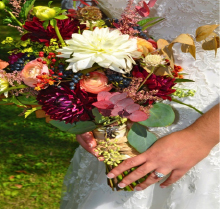 Adding a variety of flowers adds more texture to your wedding bouquet and these are some of the more popular blooms that are moderate in price and add lovely texture to your bouquets. Do make sure you know their availability, as these are seasonal. 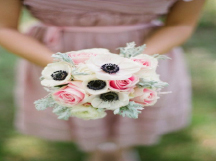 Ranunuculus is available November to April in white, yellow, orange and pinks. 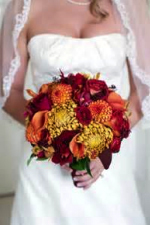 Dahlias are moderately priced flowers that we use in fall bridal bouquets. Her availability is Summer to early Fall and comes in rich burgundy, purple, orange, yellow white, orange and pink. Lisianthus is a alternative to the pricey, showy Garden rose. 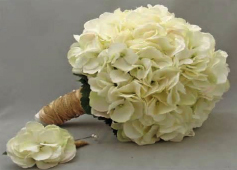 This bloom gives a very romantic, shabby chic, rustic look to any bridal bouquet. Available all year long in white, bi-color in pink, bi-color purple, lavender, purple and pink. If you dream bridal bouquet has Lily of the Valley or Calla Lilies, you’ll need to add some additional dollars to your wedding flower budget. 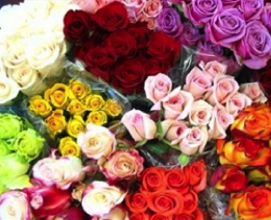 They are on the expensive range of the flower price spectrum. 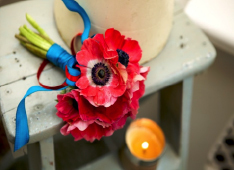 Budget friendly flowers include Tulips, Gerber Daisies, and, let us not forget, the “red-headed step child of the flower world” – Carnations, a fragrant, lovely flower called Stock. I know, why Stock? My daughter doesn’t know this yet but for her wedding it’s all stock, everywhere! 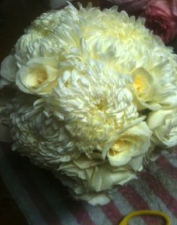 It works alone or adds a lovely texture in a bouquet with roses and other wedding flowers. 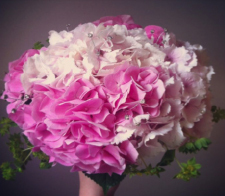 There are many more options for your Bridal bouquet. These are just a few. Unfortunately, Pinterest does not put prices up with all those amazing bridal bouquets, but your wedding stylist can lead you in the right direction to capture the wedding of your dreams, and within your budget.